An Army officer writing in a prestigious journal says the services should not overemphasize physical strength when deciding whether a woman qualifies for direct ground combat. Col. Ellen Haring, on the staff of the U.S. Army War College, says commanders need to downplay obstacle courses and judge a service member’s ability to stay calm and think quickly. 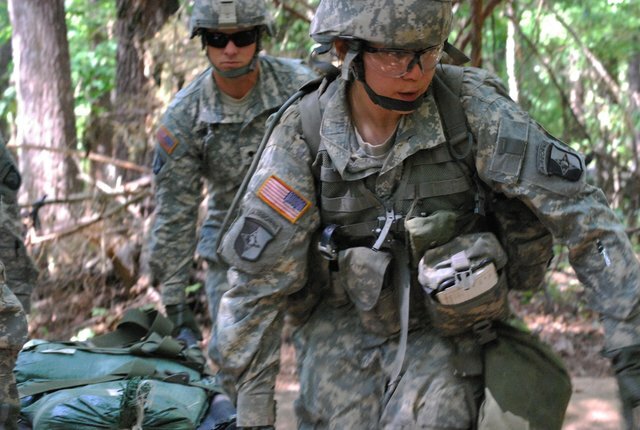 The Pentagon has lifted its ban on women serving in the infantry, tanks and special operations, and the branches are examining all their physical standards in preparation for introducing women into these units in 2015. Some military analysts fear the Pentagon will discard some standards to ensure that a significant number of women qualify. “Perhaps it is time to take a hard look at what really makes a competent combat soldier and not rely on traditional notions of masculine brawn that celebrate strength over other qualities,” Col. Haring says in the current issue of Armed Forces Journal. The liberal media could not contain their pro-gay bias (and joy!) when the Supreme Court ruled that the Defense of Marriage Act (DOMA) was unconstitutional. The Court’s 5-4 decision in late June requires the federal government to legally recognize — and bestow benefits upon — homosexual couples. Adam and Steve are now viewed the same as Adam and Eve at the federal level. Gays, of course, were deliriously happy about the ruling and so were their stenographers in the left-wing media. The decision was hailed by some journalists as one of the greatest “civil rights” advances in history and some liberal dunces even likened it to the Emancipation Proclamation. We documented, exposed, and neutralized that liberal — and so often lunatic left — media bias through News- Busters, CMI, BMI, the News Analysis Division, CNSNews.com, MRCTV, our press releases, e-mail alerts, and during numerous radio and TV interviews of our expert staff, including yours truly. It’s no overstatement to say that the pro-homosexual bias in the media was nauseating, as it has been for decades and unbearably so since Barack Obama became president. With the DOMA ruling, all pretense of neutrality or balance was discarded.